The essential parts of Florida House Bill 119, addressing Personal Injury Protection (PIP) benefits, were crafted in the closing days of the 2012 legislative session, sometimes behind closed doors, mostly without any public or committee vetting, and, of course, with undue influence from the insurance industry and not enough input from consumers. As has been widely reported, just as Governor Scott, the leading proponent of revising PIP, was lobbying legislators, United Group Underwriters, an affiliate of United Automobile Insurance Company, a leading Florida PIP carrier, gave $100,000 to his Let’s Get to Work political committee. Not surprisingly, the end result of the bill is that consumers will receive less while PIP carriers profit more. 14 Day Rule (Florida Statute 627.736(1)(a)1): Unless the insured receives medical care within 14 days after the motor vehicle accident from a hospital facility, emergency transport, an M.D., D.O., D.C., or D.D.S., there is no PIP coverage for any medical benefits. Followup medical care and services must be “consistent” with the underlying medical diagnosis provided pursuant to the services furnished within the first 14 days (F.S. 627.736(1)(a)2). 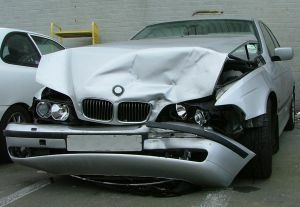 Put another way, medical coverage is limited to the initial injury diagnosis. Medical Coverage Limited to $2500 unless “Emergency Medical Condition”: The definition of “Emergency Medical Condition” is located at F.S. 672.732(16). Only the types of medical providers listed in F.S. 627.736(1)(a)3 are allowed to determine if the injured person has sustained an “Emergency Medical Condition.” Chiropractors are not included in this list. Interestingly, if any medical provider listed in subparagraph 1 or subparagraph 2 determines that the injured person did not have an emergency medical condition, PIP benefits are limited to $2500. Chiropractors are listed in this group of medical providers. OBTAINING PIP LEDGER (627.736(4)(j). The new statute only requires insurers to provide their insureds with PIP payment logs once litigation is commenced. This is silly; PIP carriers should be required to produce logs at all reasonable times including presuit. Some litigation is commenced because the insured, through no fault of his own, does not know what benefits have been paid. A ledger avoids this situation. Also, logs are needed to help resolve personal injury claims. It lets both sides know how much the amount of outstanding medical expenses. Even though current law, Southern Group Indemnity, Inc. v. Humanitary Health Care, Inc., 975 So.2d 1247 (Fla. 3rd DCA 2008), does not require carriers to provide ledgers presuit, they typically do as a courtesy. Let’s hope the revised PIP statute does not put an end to this courtesy. DEATH BENEFITS (F.S. 627.736(1)(b)): This part of the revised statute is positive for consumers. The former statute provided the lesser of $5000 or the remainder of unused PIP benefits per individual. Under the revised statute the $5000 is in addition to the medical and disability benefits provided under the policy. EXAMINATION UNDER OATH (EUO): Prior to the revised statute, most PIP policies contained a provision requiring insureds to attend EUOs. However, the statute did not allow or prohibit them. Because of a footnote in Custer Medical Center v. United Automobile, 62 So.3d 1086 (Fla. 2010), many courts and practitioners came to believe that they were not allowed. The revised statute, at 627.736(6)(g), puts an end to the speculation. EUOs are authorized and even a condition precedent to receiving benefits. However, the scope of questioning is limited to “relevant information or information that could reasonably be expected to lead to relevant information.” The revised statute also makes it an unfair claims practice to request EUOs without a “reasonable basis” for doing so. PIP IME (627.736(7): Revised PIP creates the rebuttable presumption that the insured’s failure to submit to or failure to appear at two IME examinations was unreasonable. This modifies old law somewhat, but may not make much of a difference in practical terms. The traditional question of “Why didn’t you go?” is still in play. UNFAIR TRADE PRACTICES: Carriers engaging in unfair trade practices can be subject to stiff penalties. The hope is that the new 625.736(11)(a)(2) will reduce if not eliminate the industry practice of failing to pay valid PIP claims until receipt of a 30 day demand letter. 626.9541((1)(i)(3)(i) makes it an unfair trade practice to fail to pay PIP claims within 30 days although 627.736(4)(b)(6) still allows carriers to contest the reasonableness, relatedness and necessity of claimed medical care at any time. See, also, above the prohibition against EUOs without a reasonable basis. INVESTIGATE FRAUD: The former statute gave carriers 30 days to investigate suspected fraud. The new 627.736(4)(i) allows carriers an additional 60 days on top of the 30 – hence, up to 90 days to investigate and either deny or pay. The revised statute mandates many changes. Most of the mandates reduce PIP benefits. Reduced benefits mean increased insurance company profits. Although the revisions are touted by Governor Scott and the insurance industry as a means of reducing insurance premiums, none of the mandates address rate reductions. In other words, rate reductions are not mandatory. Essentially, the public is being asked to trust carriers to self-reduce premiums. Public — don’t hold your breath on that ever happening….